This book is one hundred percent me. I did it all from the writing (besides the quotes and exerts of course), formatting, the illustrations inside, to the cover outside. The only things I’ve left to someone else to do is the editing and proofreading, which I have two amazing ladies lined up to do that for me. In fact, the book is being edited right now and so has been officially kicked into the final publishing stages. Though this book will not be fully completed until after our move to Florida, as I have a few more entires to write. 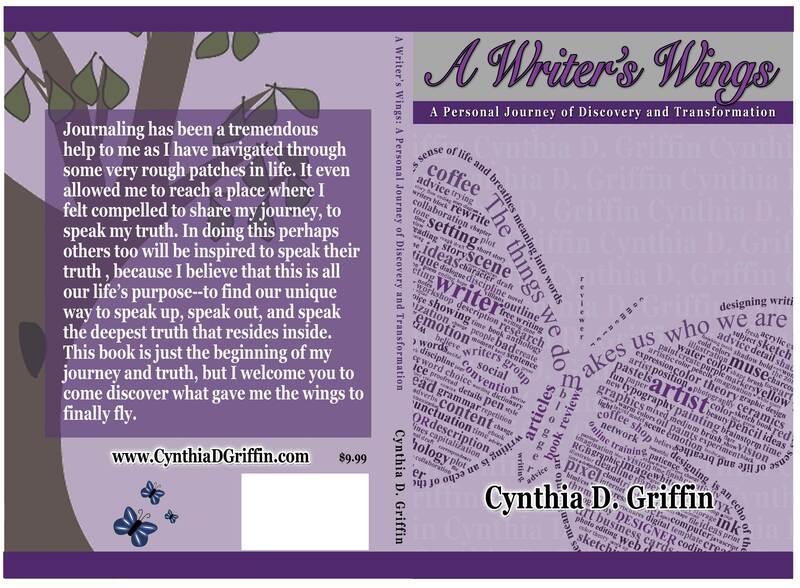 Even still, I am aiming to have A Writer’s Wings published by the middle of September. This of course all depends on how smoothly our move goes, but right now that is the plan. Until then, hopefully you will enjoy looking at this beautiful cover like I have. It’s been a lot of fun working on this project and I am very excited to see it in it’s final stages, especially since I wasn’t even sure for a while I wanted to go through with this. But ultimately, I decided that having this published is important. It’s a step that needs to be taken in my personal evolution. My hope is that perhaps this journal too will help someone else like it helped me.